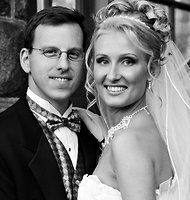 Todd Remis, the groom or known as the "Groomzilla" went to H & H Photography Studio to get their service for his wedding to Milena Grzibovska on Dec. 28, 2003, at Castle on the Hudson in Tarrytown, N.Y.on 2003. Six years later, he sued H & H Photography and its founder for missing the last 15 minutes of his wedding. He said that the studio wasn't able to capture the last important details on his wedding --the bouquet toss and the last dance. Todd Remis, who graduated from Bowdoin College and a former equity research analyst, is suing the photography company for $4,100 reimbursement of the wedding photography and demanded $48,000 to re-enact his wedding and fly the sponsors to the event so that new wedding photos can be taken by other photographer. But Todd Remis failed to disclose that his marriage ended after 5 years and doesn't even know where his ex-wife lives. Now, that is absurd, right? This may be a case of someone trying to extract a settlement. But on Todd Remis' conversation with his friend Todd Greene, he said that he doesn't care about the money and that it is about the principle. He remembers being yelled at by the Photographer instead of trying to resolve the issue. The way he was treated by H & H maybe what Remis made file the case. According to Fried, Remis came to them in 2004 and complained right away when he got his wedding photos. 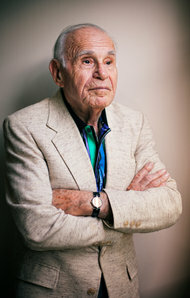 Curt Fried, who is now 87 years old and is the founder of H & H, said their studio made an effort to try to find a common ground with him. They tried to do another type of shoot or do touchup on some images. But that was not enough for Remis so sent threathening letters to the studio and then filed a case. Dan fried, son of Curt Fried and who now owns the studio said that the lawsuit already cost them $50,000 more than the amount Mr. Remis is after. The bottom line is the photog did not do what his contract stated he would do. Something has to protect the buyer from these sham photogs who tried to screw remis out of what he ordered and signed on for.